NSP Strategy: Hosted PBX: Do You? 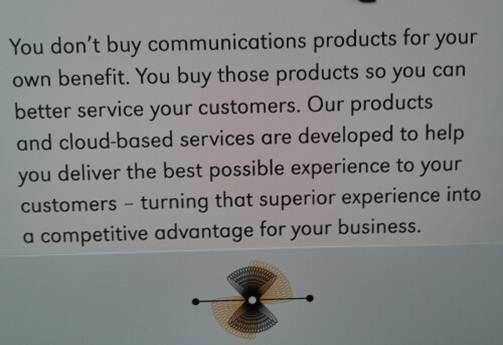 Let your competition buy another phone system. Our business communications system will blow that away. It doesn't just allow you to communicate with your customers; it allows your employees to collaborate. While that may make good ad copy, it would make for a good sales pitch from a confident sales professional who could then have a great conversation about the business and how it communicates now. This is old copy of an add from ININ (Interactive Intelligence).